Earlier this year, The Mighty Oak announced a move to Skyline High School for 2018 as Pioneer High School (AFCAA’s home for seasons 1-3) is set to be returfed this spring/summer. With Skyline High School now set to host the district soccer tournament the weekend of June 1st, Association Football Club Ann Arbor were forced to explore other options for the NPSL contest vs Grand Rapids Football Club. The match, originally scheduled for 7PM will now kick off at 6PM at EMU’s Scicluna Field on Friday June 1st. The club will be donating a portion of ticket sales back to the EMU Women’s Soccer Program as part of their ongoing efforts to support local teams with financial support. Seating is very limited and the one and only grandstand (which seats about 250) will be reserved for AFCAA members only. All other fans are encouraged to bring folding chairs or blankets to sit on as there will be plenty of space to set up around the field. Tickets are expected to sell out in advance for this match due to the limited capacity. Tickets purchased online in advance are only $8 for adults and $5 for youth. 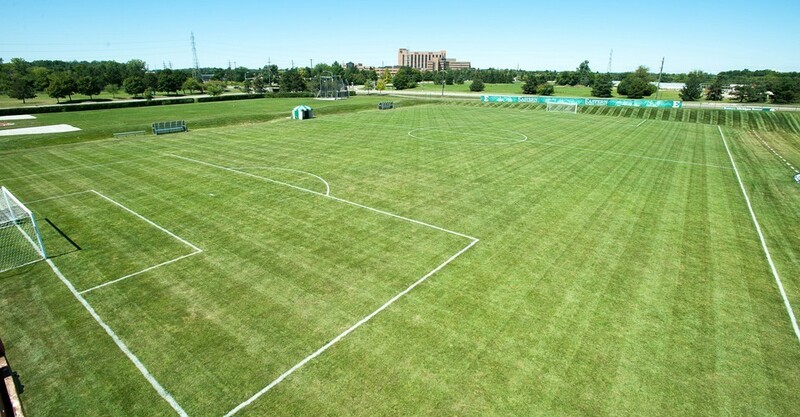 Scicluna Field has served as training pitches for traveling international clubs such as Real Madrid and AS Roma while participating in the International Champions Cup in Ann Arbor and Detroit, respectively. This marks the first NPSL contest to be held at EMU and the first match for The Mighty Oak in Ypsilanti. “These types of scheduling and venue challenges are common in lower tier soccer but I’m quite thrilled we are able to play at EMU. I graduated from there, I live in Ypsi and I’ve always supported the work that Coach Hall has done with the Women’s Soccer Program at EMU. We’re definitely looking forward to playing Grand Rapids at Scicluna Field on June 1st,” added Bilal Saeed, Chairman for AFC Ann Arbor. For ticket information for the June 1st contest, click here.